June 16, 2012 Summer Tour was a visit to the Vermeer Dutch Grain Windmill, Interpretive Center and Historical Village in Pella, Iowa. What does this have to do with woodworking you ask? 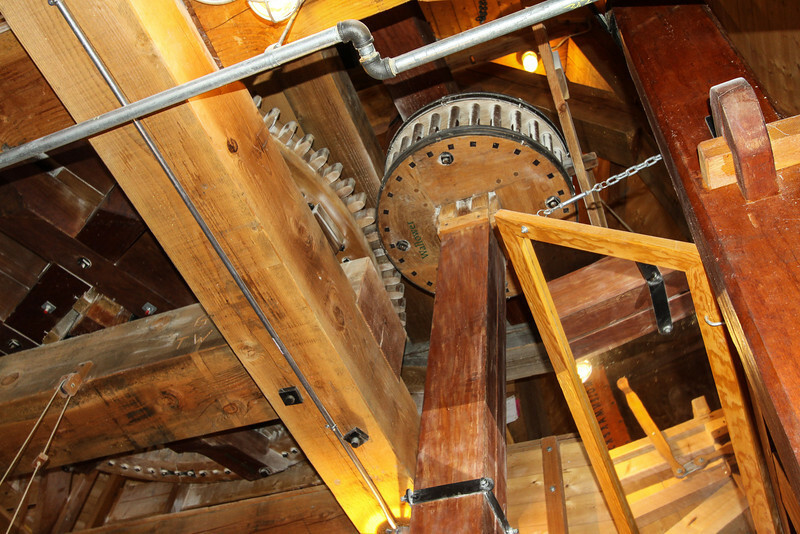 Throughout the Mill there are 16 different species of wood used for things you wouldn’t even imagine. Things like oak for gear wedges, wooden pegs and cap beams, Borneo teak for corner sills, ironwood for stage support beams and windshaft bearing and purple heart for starves in wallower gears. The photos were taken by member Gordon Grattan.